Bud Powell ranks as one of the most influential pianists in jazz history, his style having provided the template for innumerable bebop pianists who followed in his wake. 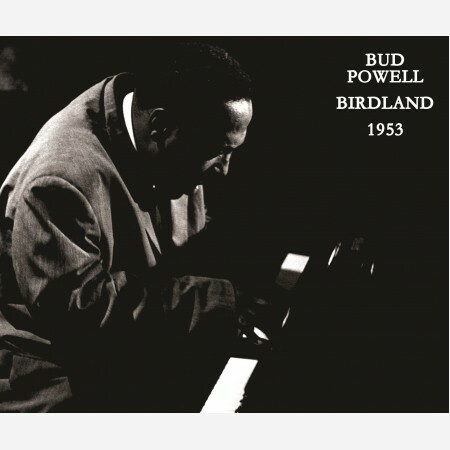 This newly compiled and mastered three-CD set captures Powell at his peak on his home turf at the famed Birdland club, recorded onsite (these are not "air checks" taped from radio), and mostly working with top-notch sidemen such as Charles Mingus, Oscar Pettiford, Roy Haynes, and Art Taylor, along with guest appearances by Charlie Parker and Dizzy Gillespie. Producer Michael D. Anderson fixed pitch problems and personnel listings that have plagued previous versions of some of this material from the collection of Boris Rose as issued on other labels. From Russ Musto's booklet essay: "Powell biographer Peter Pullman noted, in his carefully researched volume Wail: The Life of Bud Powell, that 1953 was 'the busiest year of Powell’s career.' After having spent more than sixteen months in various mental institutions, where he was subjected to electroshock therapy, the great pianist was finally released early in that year. Declared 'incompetent' by the state of New York, he was placed under the supervision of Oscar Goodstein, his personal manager and the manager of Birdland, who booked 'Powell to play for twenty weeks at the club,' according to Pullman. The regular work that the pianist had during the year allowed him to regain much of the virtuoso technique that had often eluded him after repeated nervous breakdowns; on good nights (several of which are documented here) he once again proved that he was indeed 'The Amazing Bud Powell.'" Compact Disk 3 CDs with booklet including notes by critic Russ Musto.